Every year more and more technologies filter down from the premium models into the mainstream models as manufacturers recoup their cost of research and development and also incrementally try to beat their competitors while retaining their profit margins. If you’re looking for your first car, don’t expect any or many of these to be available, but they’re something to aspire to. Seats have got safer, heavier and more comfortable. Some of them conceal airbags and have whiplash-preventing headrests. Others have extendable seat squabs or pull-out storage drawers. But there’s a set of electric adjustments that are gradually becoming more and more common, and we’re not talking about the kind of infinite adjustments (including electronic headrest adjustments) that are now available on many cars. Heated seats have been around for many years, but cooled seats have only been around for a few years, and only since 2013 on mainstream models. 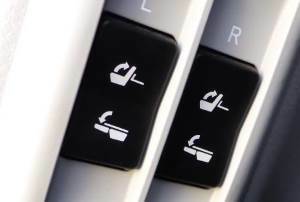 The original heated seats provided one setting, but now some cars (for example, the Ford Mondeo Titanium) has five heat settings. Some give constant heat while others switch off eventually. Most commonly only the seat squab is heated, but some cars also heat the back of the seat. Some premium vehicles now come with optional heated rear seats; this is yet to be available on mainstream cars. When it comes to cooling, the seat contains a number of fans which blow air through perforations in the material the seat is made from. We don’t find this particularly comfortable other than to quickly take the heat out of black leather seats that have been in the hot summer sun. In some seven-seat SUVs, putting the rear seats up and down is a little difficult, especially if you’re shorter. Some vehicles are now available with the third row of seats being electric to help either drop them flat or reinstate them. Other (very luxury vehicles) have rear seats that recline electrically. If you can afford a top-of-the-line Lexus or Rolls-Royce then you can have rear seats with all manner of comforts including a vibrating massage feature or a champagne chiller. Front-mounted cameras are useful on vehicles with a long bonnet where pulling out of a blind junctions can mean you put the front of the car in danger, or where you do a lot of manoeuvring in tight spaces such as in multi-storey car parks. It’s also useful for those who do a lot of off-roading as you can see right in front of the car. The cameras either split the view, looking left and right, or they act as a fish-eye lens. Some larger vehicles also have side-mounted cameras underneath the wing mirrors and they can be used to simulate a birds-eye view of the car. 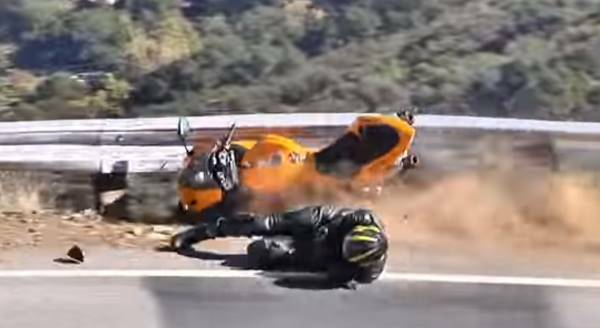 You can see how close you are getting to the kerb, or how close you are to the edge of a drop-off if you are off-road. 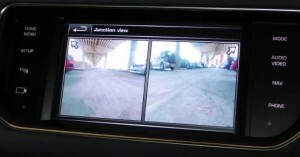 The first reversing camera was seen in the 1950s, but only now are they mainstream with the majority of ranges having at least one vehicle with one. While the early cameras were simply just a camera, modern cameras overlay graphics to show you distance markers and guidelines depending on the angle of the steering wheel. Some even attempt to point out potential hazards such as poles or the corner of a building. 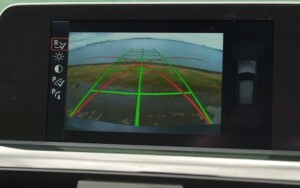 Cameras can display either on an in-dashboard screen or in the rear-view mirror. Those of you with poor circulation will appreciate the heated steering wheel. The heated area is usually just the top half, where most people will hold it. Some of the systems work on a timer while others provide constant heat. Remember that any kind of heating you are using in the car uses power from the car that ultimately has to be taken from the engine. They are available as a cost option on many European cars. Air conditioning in the rear has been available for years, but only in the form of vents that channel air from the front. Recently some manufacturers have started to offer a single temperature option that either blows air from the central binnacle or via vents in the door pillars. More recently, some premium models have featured dual climate control in the rear. Parents will see the sense in keeping their kids at the right temperature. 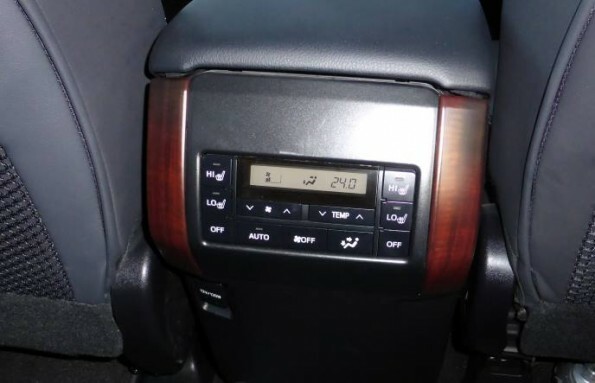 The image below shows the rear climate control panel in a Toyota Land Cruise Prado. While it only has a single temperature setting (albeit with the ability to adjust between the air blowing on your feet or your body/face), each main rear seat (i.e. excluding the centre one) has a high and low setting for seat heating. Manufacturers have apps in development but the main ones on the market at the moment are from Holden and BMW. 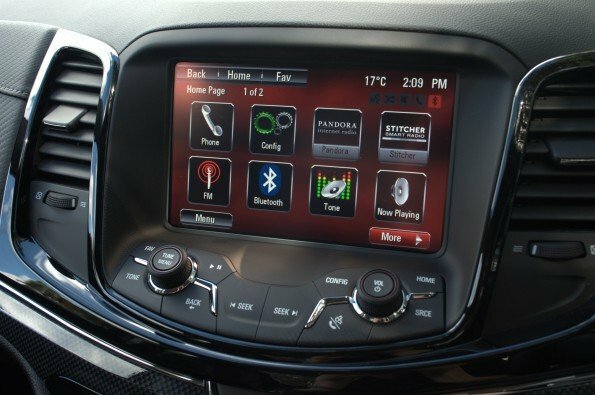 Holden’s system integrates well with an Apple device giving you Siri Eyes Free, and full control over Pandora and Stitcher apps. Expect to see deeper integration with your phone’s sat nav and other features in the very near future, plus a range of interfaces to choose from. How many times do you forget to dip your headlights when another vehicle is approaching, or when following another vehicle? Not many? No, me neither, however, if you are one of those people that does forget, or you just can’t be bothered dipping your headlights, automatically dipping headlights will take the gruntwork out of it for you. The systems are still fairly much in their infancy and don’t work that well yet.